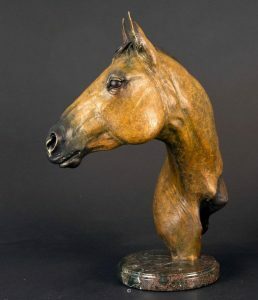 Welcome to the website of artist Jocelyn Russell, specializing in wildlife and animal bronze sculptures, paintings, and sterling silver animal-themed jewelry. 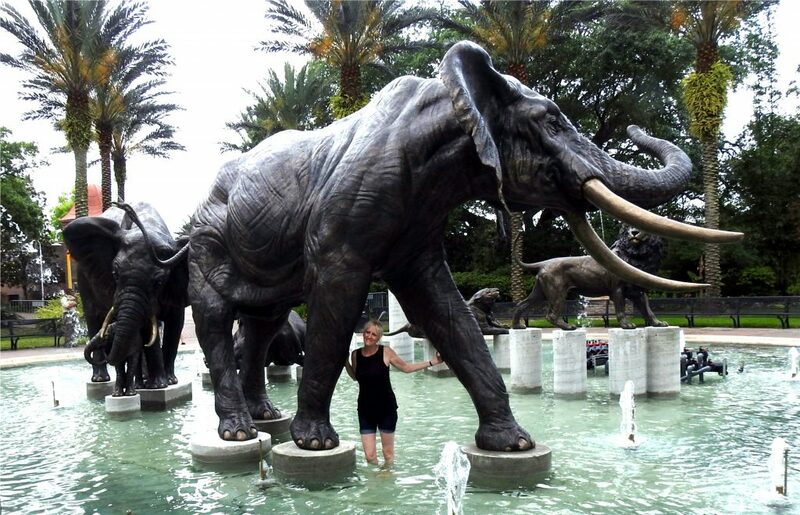 Jocelyn has recently completed a commission to sculpt fifteen life size wildlife bronze sculptures for the Audubon Zoo. Jocelyn is an avid outdoor and wildlife enthusiast. From an early age, her frequent family trips to the mountains afforded her the hands-on experiences of nature and kindled her desire to pursue her childhood passion of being an artist. Through unlimited support of family and friends, she has flourished in the opportunities of the art world and her dedication to research has taken her to many destinations, including Patagonia, Alaska and her undeniably favorite…. AFRICA. She has attained recognition for her paintings and sculptures both, and enjoys the versatility of tackling many subjects and mediums to keep her inspirations alive. 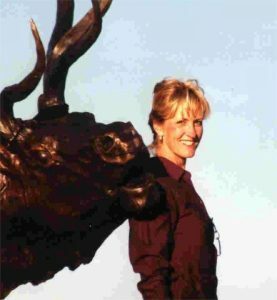 Jocelyn is known for her paintings and sculptures of wildlife, both North American and African. She has been a professional artist since 1992 and continues to gain both national and international recognition for her work. 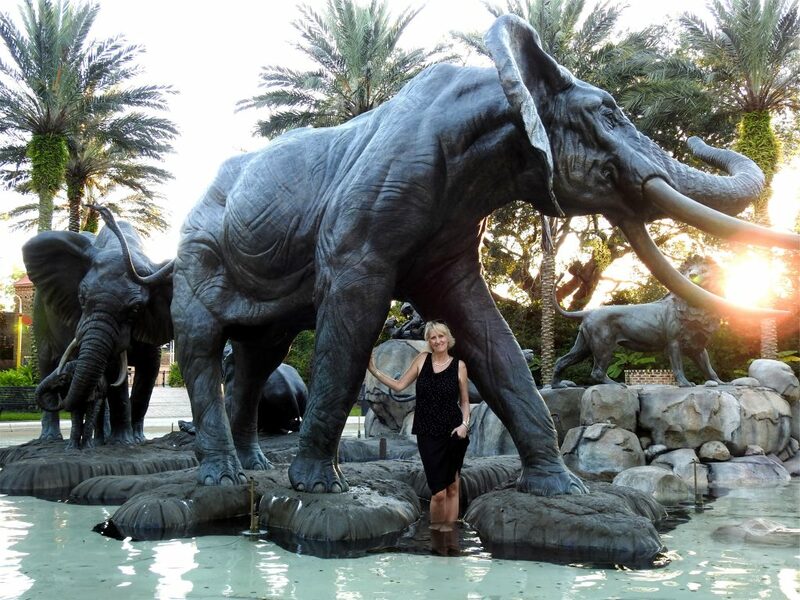 Jocelyn Russell was chosen by the Audubon Commission to complete fifteen sculptures for the new Cooper Plaza at the entry of Audubon Zoo. 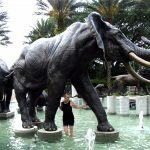 The project included five life size elephants and five life size lions which were installed in April 2017. I was extremely impressed with Jocelyn’s artistic talent and her ability to create such a memorable experience with our entire team. I would not hesitate to recommend her for any project she chooses. Kevin Harrington - "Cowgirl Cadillac"
Jocelyn, Thank you so much for your beautiful bronzes. I can't believe they're mine. I think I'll have to buy some new furniture to match the level of magnificence and beauty. When I saw the High Class bronze, I was taken aback by it's stunning beauty. The smaller bust I had to have as well. You have an incredible talent, and your works are amazing. I can't wait to see what you do in the future." "Jocelyn, it's just like you to not give up until you have every detail perfect. You would make a good Marine! Reckless remains a huge hit with our audience, and we remain ever so grateful to you and Robin for coming into our orbit." Jim Glenn - "Full Charge"
"Working with art selection committees for public art projects is a unique challenge for artists. Jocelyn Russell not only wields the sculptor's modeling/sculpting tools with talent but also possesses the talent to listen and respond to all of the stake holders. 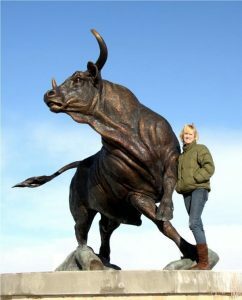 While creating a monumental bull sculpture for our client Utah State University, Jocelyn was generous in giving regular updates as well as her time in studio and foundry to demonstrate the process. Every member of the committee felt a connection with the process and final installed work that now announces and greets every visitor to the new campus in Vernal, Utah. It has been a pleasure to work with Jocelyn." 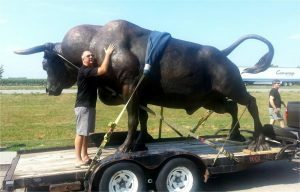 Richard Bonander - "Bison And Hunter"
"It has been a wonderful experience working with Jocelyn Russell on Casper`s latest larger than life bronze monument "God`s Sacred Gift". This depiction of an Indian hunting a bison for his very existence is a dynamic detailed action packed monument. Jocelyn captured the moment just before throwing the spear. She shows the end of the chase with all its excitement and danger. 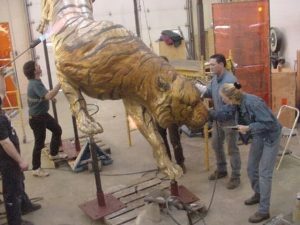 All the way from developing the smaller maquette in clay to installing the 1 ½ life-size bronze monument, Jocelyn demonstrated her immense professional skills and love of art. It took just over a year to complete this huge project, thanks to her continuous oversight and hard work. This is the fourth monument I have worked on, so I truly appreciate how smooth and easy this one was to complete. Thanks!" David S. Alcorn, Ph.D. - "Turning Point"
"Jocelyn, it was an absolute pleasure working with you on 'Turning Point'. 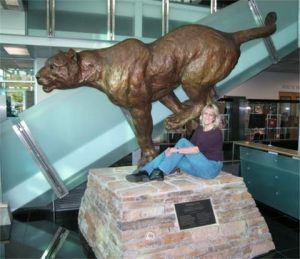 Your magnificent cougar bronze now enjoys a position of prominence in our Student Athletic Center. Your work is most compelling, scores of visitors and students pause to take a second look. Your patience and dedication to our project was professional, and your manner of working with our team was very impressive. It is common to hear of exceptional artists, but it is uncommon, indeed, to hear that the artist is as equally committed to her client`s satisfaction as she is her finished sculpture. Thank you for attending to the 'details`. You made this a most memorable event for everyone. I was very impressed at how you worked so well with so many, and still kept us all in the proverbial loop. 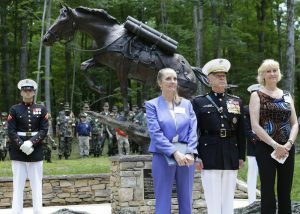 Our unveiling and dedication was able to go forward as scheduled. Thank you, Jocelyn, for delivering such a beautiful sculpture!" [caption id="attachment_1132" align="alignright" width="300"] David S. Alcorn, Ph.D. - "Turning Point"[/caption] "Jocelyn, it was an absolute pleasure working with you on 'Turning Point'. Your magnificent cougar bronze now enjoys a position of prominence in our Student Athletic Center. Your work is most compelling, scores of visitors and students pause to take a second look. Your patience and dedication to our project was professional, and your manner of working with our team was very impressive. It is common to hear of exceptional artists, but it is uncommon, indeed, to hear that the artist is as equally committed to her client`s satisfaction as she is her finished sculpture. Thank you for attending to the 'details`. You made this a most memorable event for everyone. I was very impressed at how you worked so well with so many, and still kept us all in the proverbial loop. Our unveiling and dedication was able to go forward as scheduled. Thank you, Jocelyn, for delivering such a beautiful sculpture!" 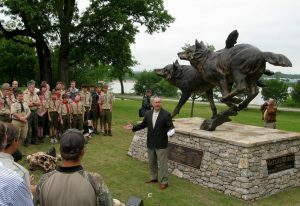 David S. Alcorn, Ph.D.
Dwayne Flynn - "Prairie Wolves"
"NatureWorks has successfully completed its 14th annual monument, thanks to you! The 'Prairie Wolves' turned out awesome. We have had several calls from patrons, Tulsans and those who drive down Riverside who tell us it is the best one yet. Hats off to you for putting your second monument in Tulsa, Oklahoma. 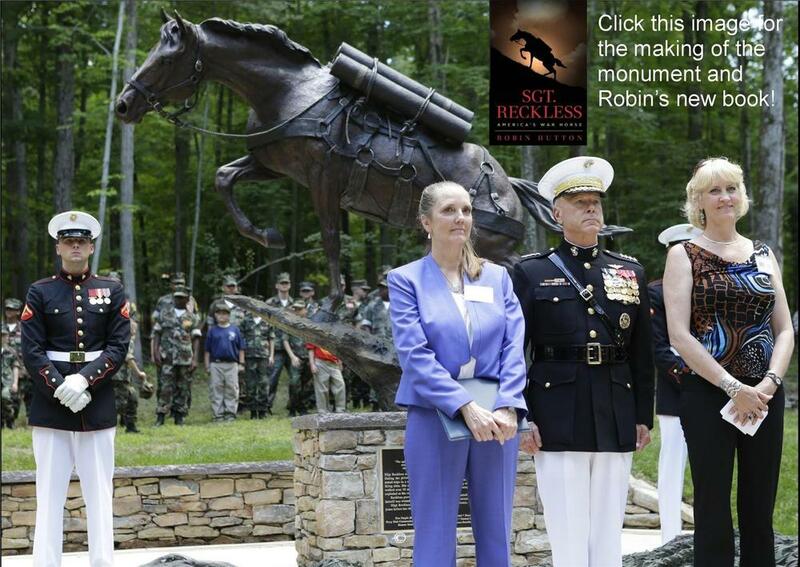 Our monument program has enjoyed the success of world renowned artists competing for these monuments." Ron Kolpin - "Royal Descent"
"I purchased a monument of an elk from Wildlife Bronzes for use outside our home. Our ranch is named "Elk Pointe". We enjoy it every day as we located it so we can see it from most rooms in the house. Jocelyn is the best - what more can I say. The quality is excellent and she even delivered it to our home site in Colorado. We see elk every day so I know what they look like and Jocelyn has captured all the exciting attributes into a piece that generates excitement and fluid motion." "I only have great things to say about Jocelyn. 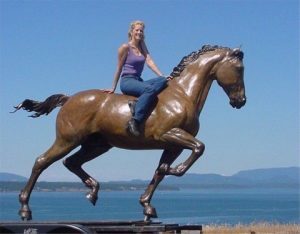 I have two of her monuments, her "Royal Descent" elk at the entrance to my residence in Deer Valley, and a commissioned piece of a horse for one of our apartment complexes (Riverhorse Ranch Apartments) in Austin, Texas. She was wonderful to work with throughout the development process for the commissioned horse. When I first met Jocelyn at a Park City art festival, she was studying detailed drawings of the muscular structure of a tiger, in connection with a work in progress. I then experienced first hand that same devotion to detail in her works for me. Jocelyn is a delight to work with and her artwork is also delightful." "I worked as the coordinator with Albert Lea Public Schools on the Bronze Tiger Project with Jocelyn Russell. She was prompt, professional, and a real joy to work with. The result of her work was a monument the whole community can take pride in, as both an exceptional piece of art, and a symbol for our high school that will create memories for students for years to come. I invite anyone from anywhere to come see AL (our tiger). Nobody does it better."